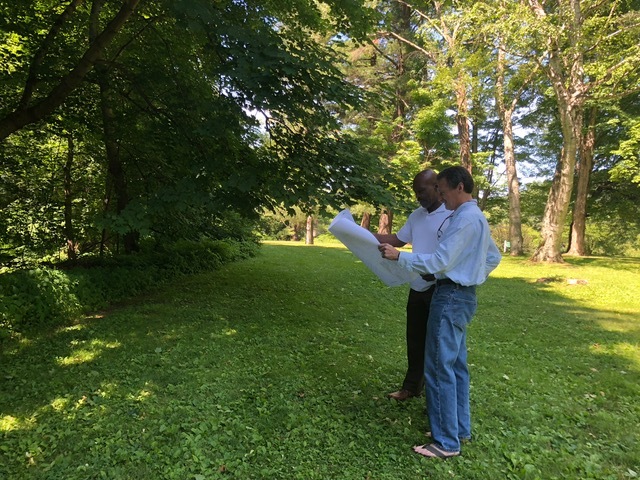 Great Barrington — Last Tuesday, advocates for creating more affordable housing in Great Barrington received some good news: The Community Development Corporation of South Berkshire closed on the purchase of an 8-acre plot of land at 910 South Main St. The nonprofit development organization plans to tear down the small and crumbling house at the address and replace it with 40 to 50 affordable apartments. Tim Geller is the executive director of CDCSB, a 501(c)(3) nonprofit corporation that seeks to provide affordable housing to moderate- and low-income residents in the Southern Berkshire region (the organization is also behind the high-profile construction project at 100 Bridge St. in town). CDCSB carries out its mission with federal and state money and utilizes low-income tax credits. Acquisition Financing for the new project is being provided by The Life Initiative, a $100 million community investment fund created by the state in 1993, and Way Finders Inc. Pre-development for the project is being provided by the Community Economic Development Assistance Corporation, a public-private community development finance institution that assists projects across Massachusetts like the one at 910 South Main St.
Geller told the Edge that, while there is still a veil of uncertainty surrounding a project like this, his estimate is that construction on the new apartments will begin in the spring of 2021—a year later than currently scheduled—and that the rent will be “very affordable,” at $700 a month for a one-bedroom apartment and $970 for a three-bedroom apartment. For Geller, the project could not have come at a better time. “Right now as more and more high-end housing units are being built in downtown GB, people need an affordable alternative. The difference in what residents will pay between these new apartments and the others being built around town could be as much as $1,000 dollars a month,” he said in earnest. Geller believes the simultaneous decline and aging of Great Barrington’s population over the past decade is tightly correlated with the rising cost of rent and a lack of truly affordable housing. 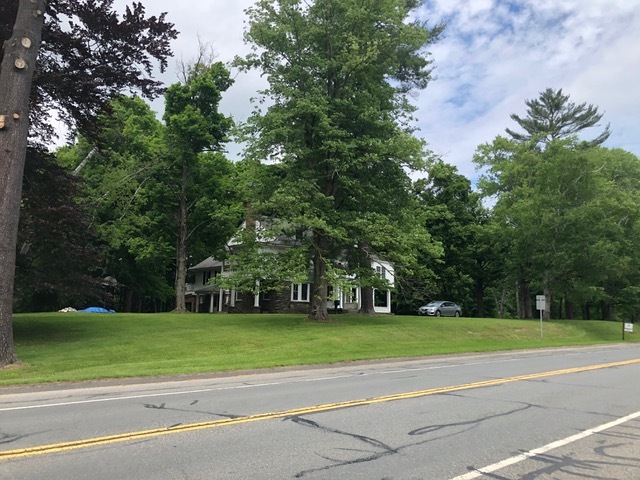 Geller’s case for dramatically increasing the number of affordable housing units in the Southern Berkshires is a familiar one that has been articulated by many in Great Barrington over the years. Today the argument carries with it a new potency. According to the last U.S. census, the unemployment rate in Great Barrington is 8.4 percent, while the median value for a “housing unit” is $328,000 and the median gross rent per month for one person is $963. Over 20 percent of the residents in town are over age 65 and nearly half of all renters and one-third of home owners with a mortgage spend more than 30 percent of their incomes on housing costs. These numbers show what Geller and his colleagues suspected—that, in the Berkshires, where the economy is driven by tourism and the hospitality and service industries, a decades-long decline in wages and disproportionally high land costs have driven out many of the young people. Thus, existing businesses have struggled to recruit talent and the town as a whole has largely failed to attract entrepreneurs, artists and tradespeople.